ONE REGION. ONE CHURCH. ONE GOD. One night to come together and worship. Join hundreds of worshippers from churches all over Waterloo Region, as we come together under one roof, to worship our Lord and Saviour, Jesus! Please note this event is on TWO NIGHTS, Friday & Saturday. No tickets required, but seating is limited so please arrive early for a seat. Churches in the region will be gathering to seek Christ in prayer. Amazing workshop for all vocalists, beginner to seasoned! An incredible one-man performance of 23 characters in the life of David. Celebrating the rebranding of former Kitchener Church of God to Kingdom Community International. A night of extended worship and prayer on Palm Sunday. Please note this event is on ONE NIGHT, Friday night. No tickets required, but seating is limited so please arrive early for a seat. Alternate parking is available at Cambridge Christian School at 229 Myers Road. To sing in the choir, click here. YouTube Playlist for march 2! Click the image to get a downloadable PDF for your church or to send to your friends! This rehearsal is for everyone involved in our Annual Worship Night - worship leaders, musicians, choir members and tech team. Be sure to sign-up for the choir if you'd like to join us! Ticket are $10 at forwardchurch.ca. Join us for a great evening of Christmas music with Jacob! Tickets are $10 at forwardchurch.ca. All are welcome to our kids' Christmas musical! Performances in both our 9:00 and 10:45 morning services. Caring for those who are hurting from the loss of loved ones during the Christmas season. 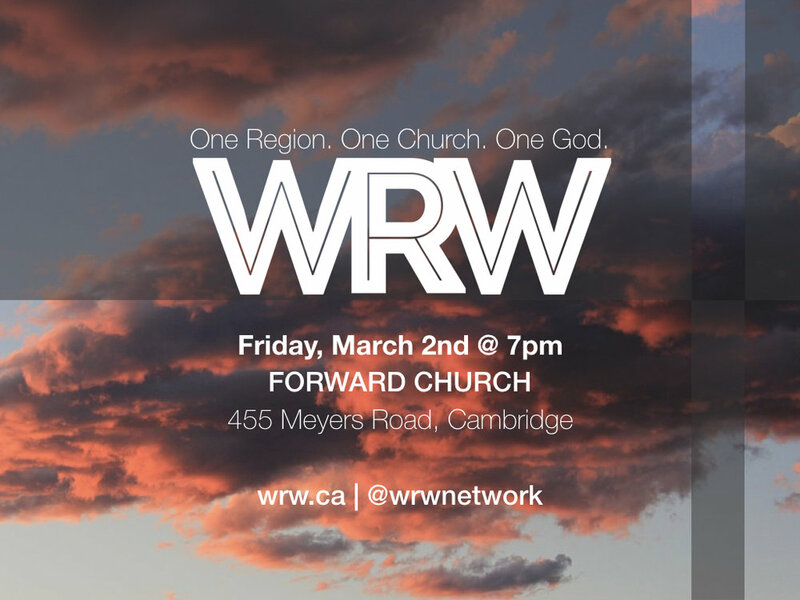 Annual Worship Nights- Waterloo Region Worships! We are gearing up for Waterloo Region Worships 2017 and we want to invite you to be in the WORSHIP CHOIR. It’s always a fun opportunity so we encourage you to sign up and get involved! All rehearsal and both services will be held at Waterloo Pentecostal Assembly. Kids Song/Dance on Worship Night of March 3rd and 4th! We have an opportunity to join with kids from other churches in the region to sing and dance to "This is Living" for the upcoming Waterloo Region Worships events at Waterloo Pentecostal Assembly. Your child can learn the song and actions here to prepare for the rehearsals. Please contact Pastor Janette Routley at janette@wpa.church if you have any questions!